More power yet safer driving controls with a precision tuned suspension system and amazing ground clearance! or experience one of our incredible guided tours! 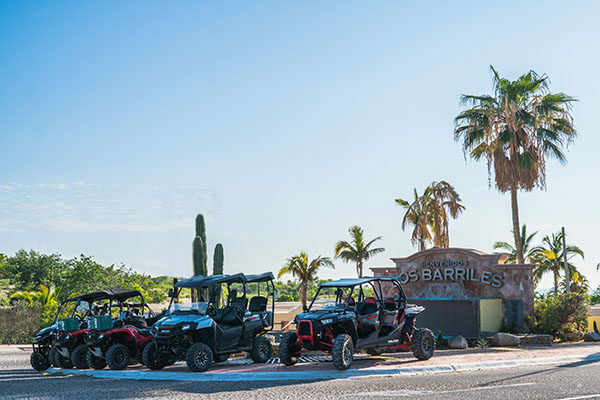 QuadGirl Quad and ATV / UTV rentals is located in beautiful Los Barriles, Baja California. Our quads are top of the line – the newest quads in town and expertly maintained! 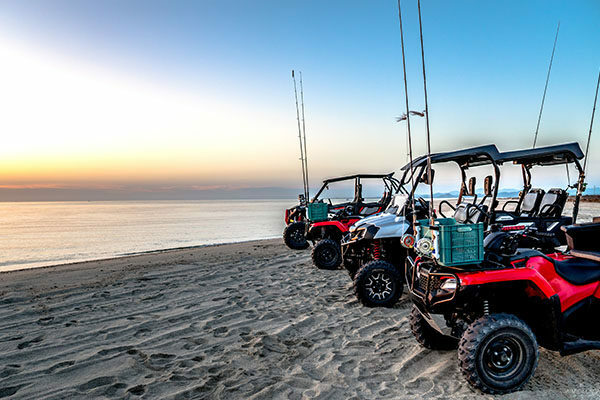 We can supply you with ATVs, UTVs, 4x4s, 4 wheelers and side by sides (sxs) for your entire vacation or by the day or 1/2 day. 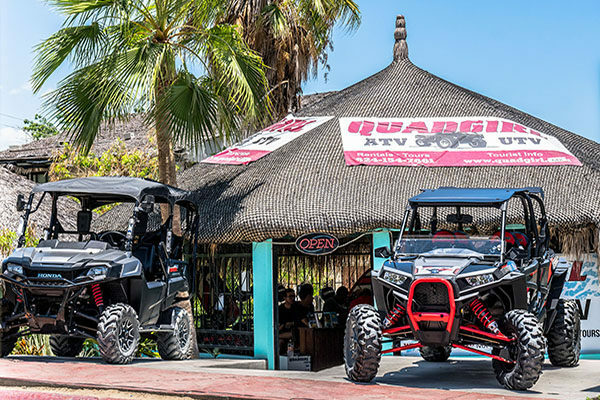 Our quad rental palapa is conveniently located right at the entrance to town across from the Oxxo market on Valentin Ruiz Gonzalez. What better a way to explore the area the beauty of Los Barriles and the East Cape than on an ATV? QuadGirl quad rentals has a wide variety of quads to choose from. 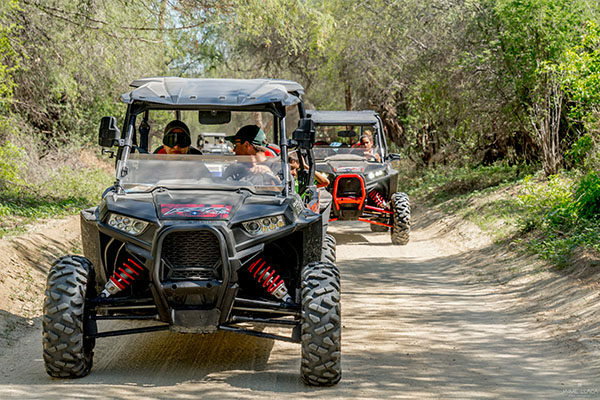 Whether you’re looking for a 4×4 rental, a side by side, an ATV rental, a UTV rental, a 2-seater or 4-seater QuadGirl Los Barriles has the best quad to fit your style! We can help you plan your own adventure or you can explore the local waterfalls, seaside and mountains with one of our local guides. 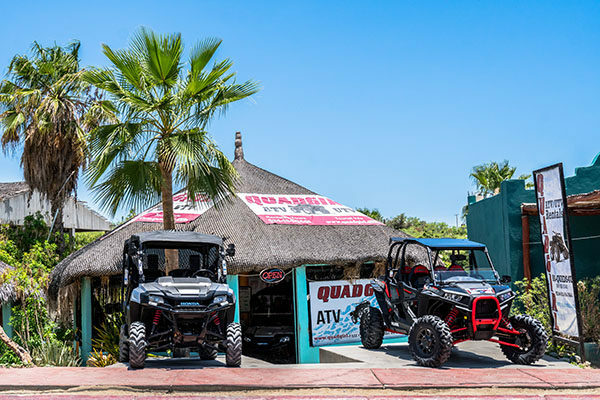 Due to the overwhelming positive response for reservations this season, QuadGirl has added additional equipment to their rental line including quads and two more 4- SEATER RAZOR SXS! Call 1.888.782.3748 or email us today to reserve yours today. Have you ever seen an oasis in the middle of a desert or cooled yourself under an icy waterfall? Have you ever visited a mango plantation or discovered a deserted beach where you can snorkel or swim and never see another human being other than the ones your with? These activities are just a small part of our guided tours. We can lead you where you want to go, but you’re in the driver seat all the way! If you need to reach us fast, call 1.888.QUADS4U (1.888.782.3748) or fill out our easy online form.